A tourist excursion train with passengers disembarking beside the historic Elkins depot. Elkins (population 8,000) was founded in 1890, by industrialists and politicians Henry Davis and Stephen Elkins, as the location for railroad yards for the expanding West Virginia Central and Pittsburgh Railroad. During the boom days of the 1890s the city became a bustling hub of industrial activity, since the railroad provided access to the surrounding countryside's coal and timber resources. The city soon sported many factories and many hotels built to house the businessmen and politicians who frequented the mansions of Davis and Elkins to deal in the affairs of the state and nation. The city continued its growth through World War I and the 1920s, but the Great Depression spelled the end for many of the old industrial establishments. World War II saw the growth of service industries and the city's emergence as a regional administrative center. Davis and Elkins College flourished, and the community attracted a growing number of artists, musicians, and retirees. Today, Elkins has a diverse economy and is becoming a cultural and commercial center. In 1930, 18 passenger trains were arriving and departing from Elkins daily, but after passenger service ended in 1959, the rail yard shrank until operations ceased entirely in the 1990s. In 1997, the Randolph County Development Authority purchased the Elkins rail yard and depot, and has dedicated more than 10 years to redeveloping the property in a way that promotes heritage tourism and maintains its significant place in the town's history. The Rail Yard project has involved restoring the 1908 depot and replacing a steel truss railroad bridge. The latter project, completed in 2007, made it possible for passenger trains to operate out of the historic depot in downtown Elkins once again. The restored bridge replicates the original steel truss model, allowing residents and tourists to experience and appreciate the city's railroad heritage. 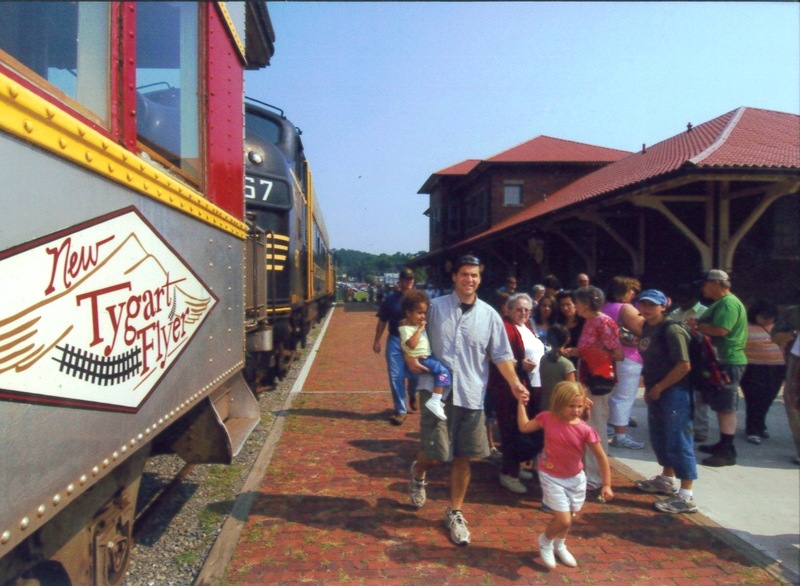 Today, scenic passenger trains take nearly 30,000 people a year on excursions out of Elkins and into the surrounding mountains. Elkins is also one of the leading tour bus destinations in the state, with three recognized National Register Historic Districts and many hotels, restaurants, and theaters. The Randolph County Community Arts Center, with the assistance of the West Virginia Humanities Council, brought the Smithsonian Institution Traveling Exhibit "Produce for Victory" to the city in late fall 2006. This event brought together local historians, World War II scholars, and members of the community to document the place of Elkins, WV in the history of World War II. In 2009, the same groups brought in the Smithsonian Institution Traveling Exhibit "New Harmonies, Celebrating American Roots Music." Local musicians, traditional and roots music preservationists and historians, as well as local businesses, came together to explore to role of Roots Music in the area's rich mountain history. Both events united the community and drew in many local volunteers.